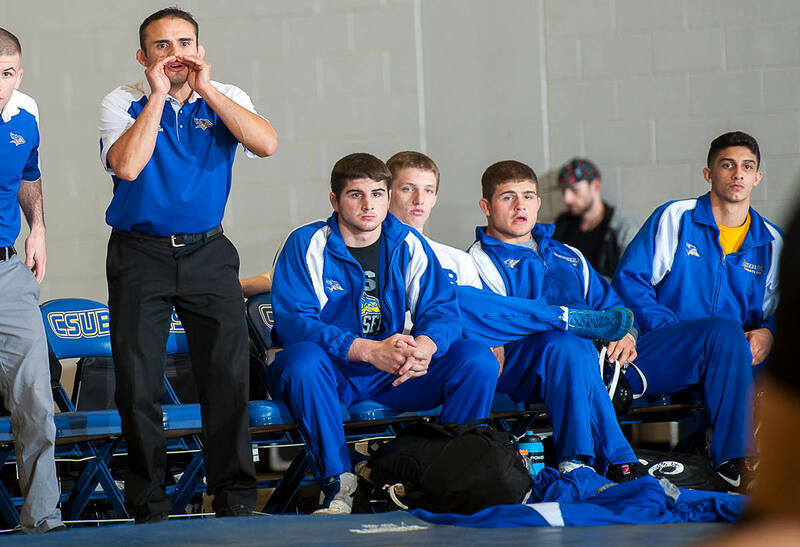 BUFFALO, N.Y. -- Sean Boyle has been hired as assistant wrestling coach at the University at Buffalo, head coach John Stutzman announced on Wednesday. Boyle comes to Buffalo from Cal State Bakersfield where he spent the previous two seasons as an assistant coach. Boyle served as the Roadrunners assistant coach from 2016 to 2018. He helped lead CSU Bakersfield to third place finishes in the Pac-12 Conference in 2017 and 2018. The Roadrunners had five NCAA qualifiers in each of his two seasons with the team and Sean Nickell was the 2017 Pac-12 champion at 125 lbs. "We are extremely excited to add Sean to our staff," Stutzman said. "Having competed in the Big Ten at the University of Michigan as well as UTC in the Southern Conference, Sean brings a wealth of wrestling knowledge to our program. We are excited to get him back east and we look forward to him hitting the ground running." Prior to CSU Bakersfield, Boyle served as a graduate assistant at Tennessee-Chattanooga from 2015 to 2016. Boyle, a NHSCA Senior National Champion for national powerhouse Blair Academy, began his collegiate wrestling career at the University of Michigan. Boyle wrestled for Michigan from 2009-14 where he was a two-time NCAA Division I qualifier and a two-time Big 10 place winner. He was awarded Michigan's Jeff Reese Most Improved Award (2011) and Michigan's Steve Fraser Mental Toughness Award (2013) during his time in Ann Arbor. After graduating and earning his undergraduate degree from Michigan in 2014. Boyle transferred to Chattanooga prior to the start of the 2014-15 season and was granted a sixth year of eligibility from the NCAA. Boyle won the 2015 Southern Conference Championship at 125 pounds and was 2015 Southern Conference Wrestler of the Year. He qualified for his third NCAA Tournament and ended the season with a 32-7 record. Boyle's combined collegiate wrestling record was 121-60. Boyle completed graduate school at UTC in 2016, earning a master's in secondary education.